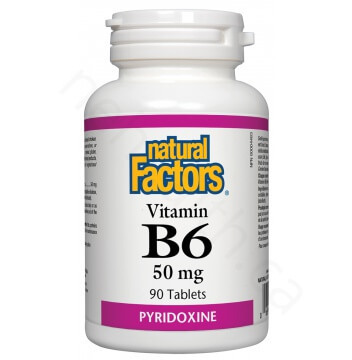 Vitamin B6, also known as pyridoxine hydrochloride, is a water soluble vitamin that is naturally present in the food we eat. 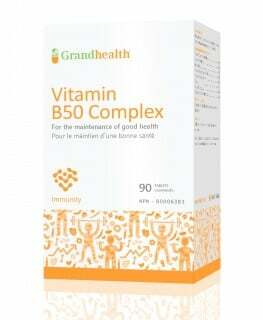 It is one of the several B vitamins required for the production of neurotransmitters, the chemicals responsible for sending out signals to the brain. In our brain, dopamine, serotonin and GABA are the three most important neurotransmitters that require vitamin B6 for synthesis. In addition, vitamin B6, in its coenzyme form, is involved in a vast variety of enzymatic reactions, mostly related to protein metabolism. 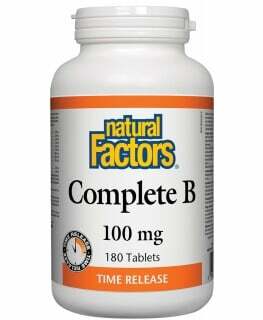 Vitamin B6 is helpful for premenstrual and PMS syndrome and may relieve depression and discomforts caused by pregnancy. 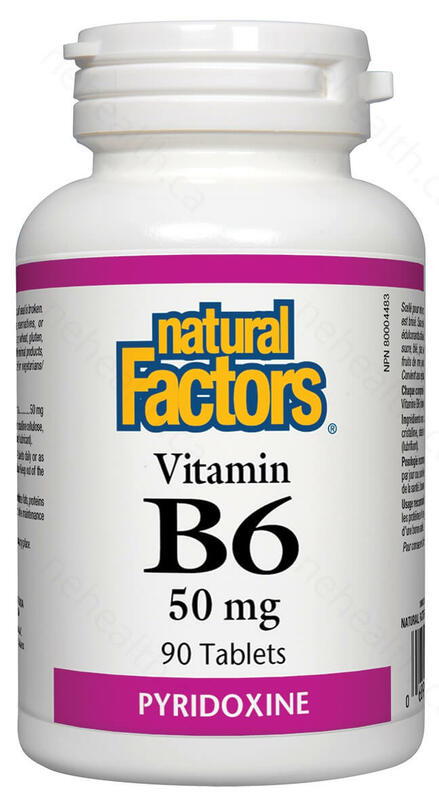 What Are the Key Health Benefits Associated with Natural Factors Vitamin B6? Non-medicinal ingredients: Microcrystalline cellulose , vegetable grade magnesium stearate (lubricant). 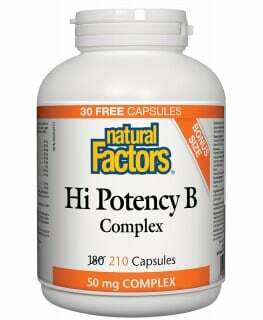 1-2 tablets daily or as directed by a health care practitioner. Anand, Sathanandam S. "Protective effect of vitamin B6 in chromium‐induced oxidative stress in liver." Journal of Applied Toxicology 25.5 (2005): 440-443. Havaux, Michel, et al. "Vitamin B6 deficient plants display increased sensitivity to high light and photo-oxidative stress." BMC plant biology 9.1 (2009): 130. Kannan, Krishnaswamy, and Sushil K. Jain. "Effect of vitamin B6 on oxygen radicals, mitochondrial membrane potential, and lipid peroxidation in H2O2-treated U937 monocytes." Free radical biology & medicine 36.4 (2004): 423-428.